The stringboard is also available in 122 cm, 140 cm and 155 cm to order. This unique instrument is developed and designed by an Ship engineer, who wants to play street music. So it looks like an boat, has a very rugged design and very easy to play. You can play like a plucked instrument with fingers, fingernails or plectrum. 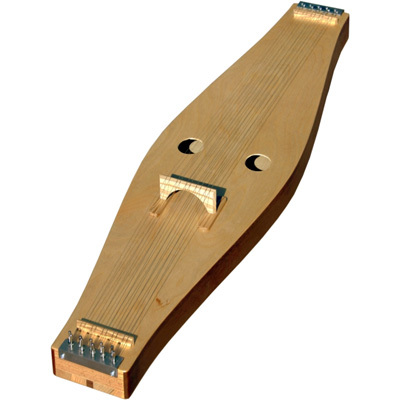 You can play it also like a hammered dulcimer with different sticks. You can play the short side and the long side of the bridge, so you have 12 different double-strings to play. You can play with more than one people on this instrument. Here you have a melody percussion instrument. The stringboard is also available in 122 cm, 140 cm and 155 cm to order. Please ask for further details.